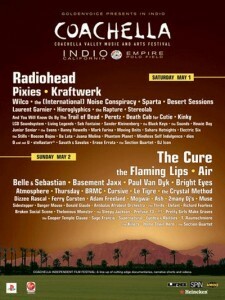 Back in 2004, the Pixies reunited to play the Coachella Music Festival. They’ve been touring ever since, even playing the Doolittle 20th Anniversary Tour in the Olympia Theatre in 2009. 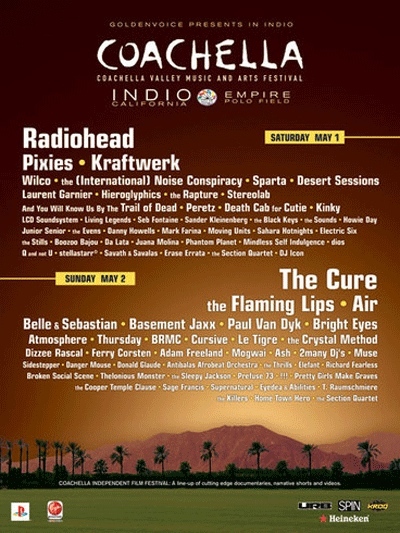 To celebrate last weekend’s Coachella 2012 festival, the band are giving away a four track EP taken from that 2004 reunion gig. You can also buy the full gig for $3 on their website. Nice one! And well done on the new site, lookin shlick! Glad you like the new look Eleventy!